← Canvas Floorcloth Design Developed From Scrap of Period Linoleum. 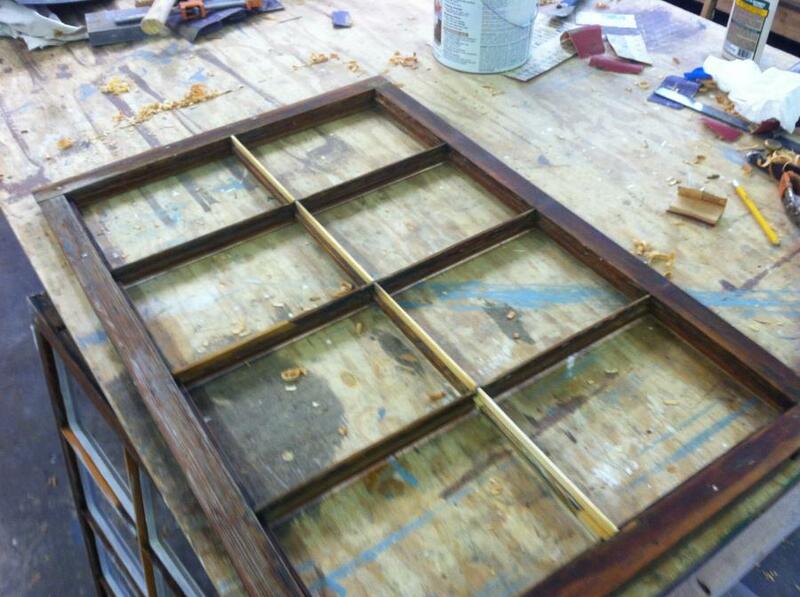 Original condition, note low profile of exterior muntin glass stops, very typical of first era sash millwork. 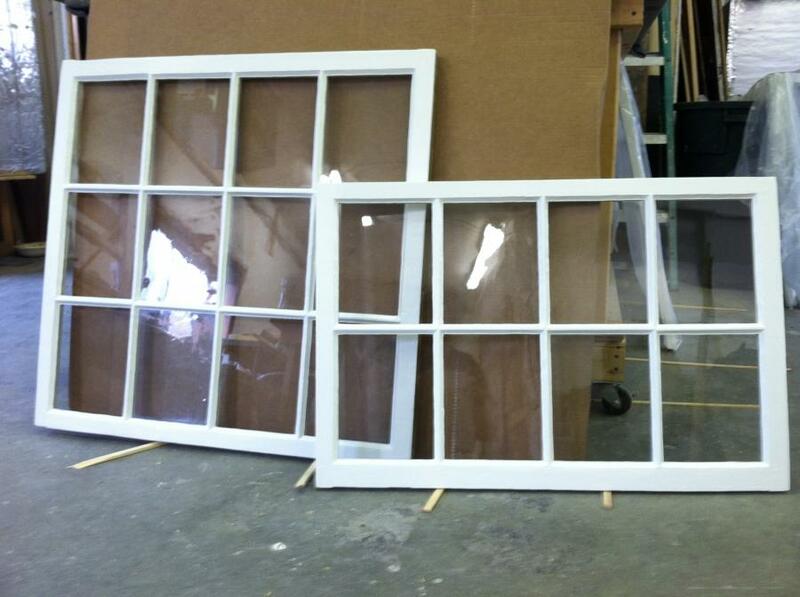 These 1820’s wood window sash needed an understanding friend and found one in Donnie Hayward of D. Hayward Restoration of Greenfield, MA, who prescribed a delicious and healthy sounding recipe for renewing the original exterior wood after almost two centuries to the weather: “a mixture of Alback organic linseed oil and Turpentine”. He doesn’t say, but you can see from the image that the spec was “to refusal”, meaning that the wood fibers had absorbed the mixture to capacity. This practice doesn’t merely protect the wood, and enable the oil paint to adhere, but it SWELLS the fibers, closing shrink cracks in the surface. And did he say “oil paint”? Oil paint also penetrates the wood fibers, helps to renew the wood itself and protects. For generations, now, paint companies have been promising us that water based paint is just as good in this application as oil, and that THIS TIME, they really mean it (sigh…). Mr. Hayward is using salvaged period replacement parts out of virgin lumber instead of less durable 2nd or 3d growth lumber. He claims these beautiful windows are ready for another couple of centuries to the weather. Let’s hope that they can find another good, wise friend in 2215 AD. Note wood saturated with mixture “Alback organic linseed oil and Turpentine”. Finished work. Glass reflections show imperfections in original sash lights and/or Polish import replacements. 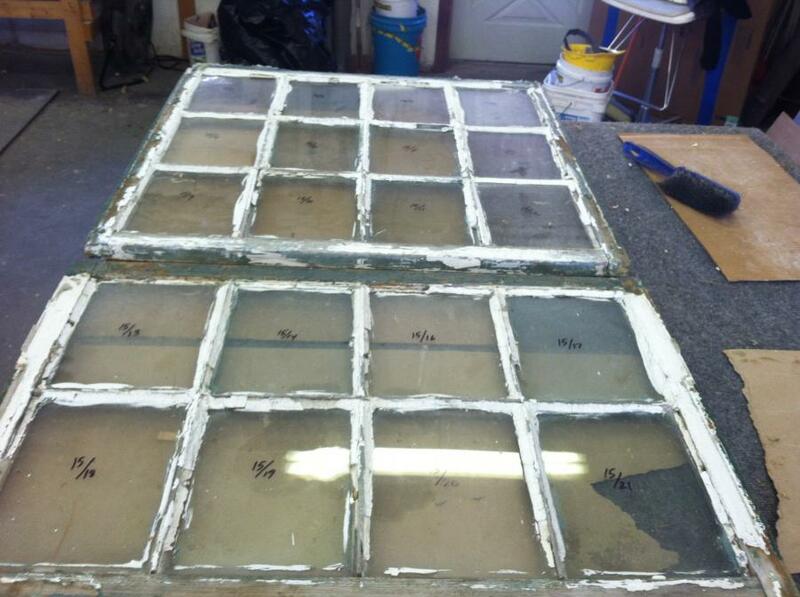 This entry was posted in Window Restoration and tagged Lumber, Massachusetts. Bookmark the permalink.